All new subscribers will receive our Welcome Box for Month 1 which includes our two most popular blends - ENERGY (Peppermint Rush) and DETOX (Dragon Clove). You will then hop on with everyone else and receive 3 of our most popular season specific OolaTea flavors for the following months. Click here to view the upcoming flavors. Monthly subscriptions are automatically billed $29.99 on the 21st of each month ($27 box price + $2.99 shipping), and your subscription box will be shipped out on the 3rd of the following month. If you sign up for the monthly subscription before the end of the month, your first box will be shipped on the 3rd of the next month and you will be billed again on 21st of that next month for your following box. Example: Purchased subscription on 7/1, you will be billed again on 8/21. First box shipped on 8/3. Example: Purchased subscription on 7/28, you will be billed again on 8/21. First box shipped on 8/3. 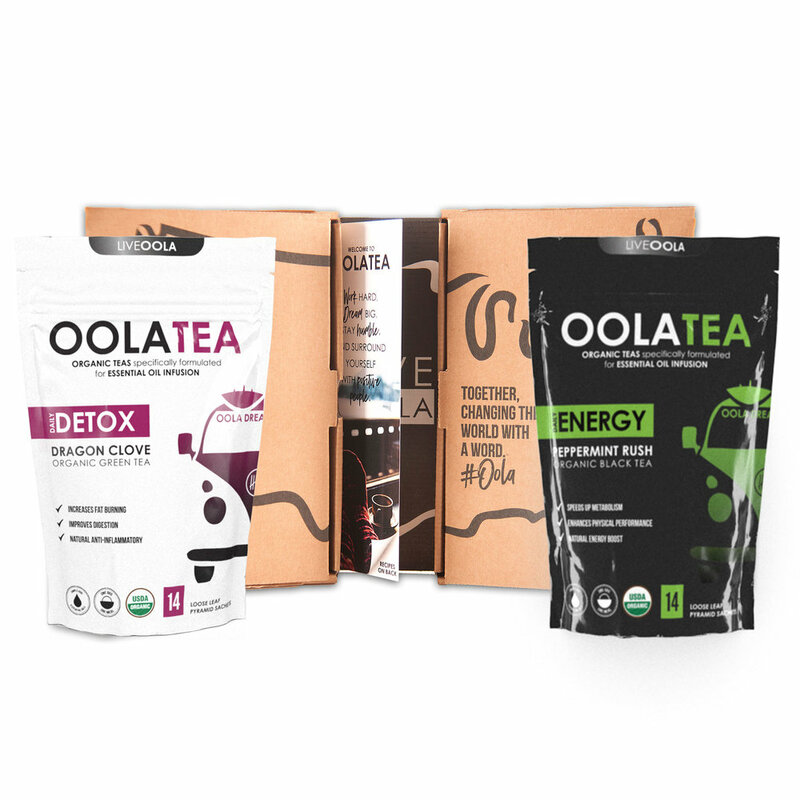 Includes 3 bags of our most popular OolaTea flavors each month, and they will be season specific. Looking to reorder some of your favorite OolaTea flavors or want to try out our teas before you sign up for the monthly subscription? Browse our complete inventory of certified organic teas.